Usaburo Kokeshi Dolls handcrafted in Japan available at Miya. 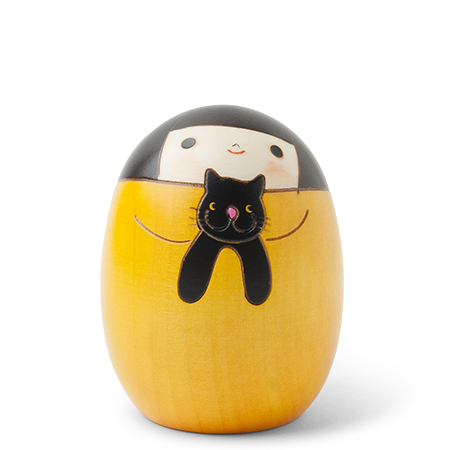 Hand polished, carved, painted and finished with lacquer from wood that has been sun dried for six to twelve months, these beautiful Kokeshi dolls are a wonderful example of Japanese craftsmanship and art. Individually boxed.